This morning years 4, 5 and 6 went to Church for our Remembrance Service. 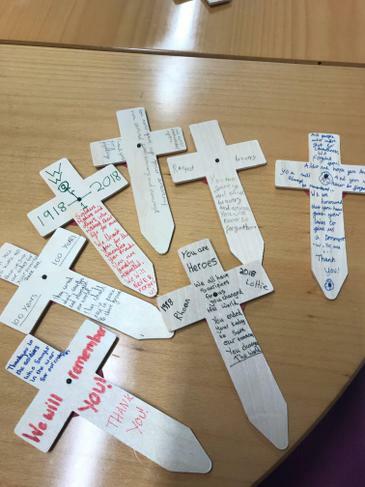 We thought about how our village was affected by World War One and the sacrifice of so many. 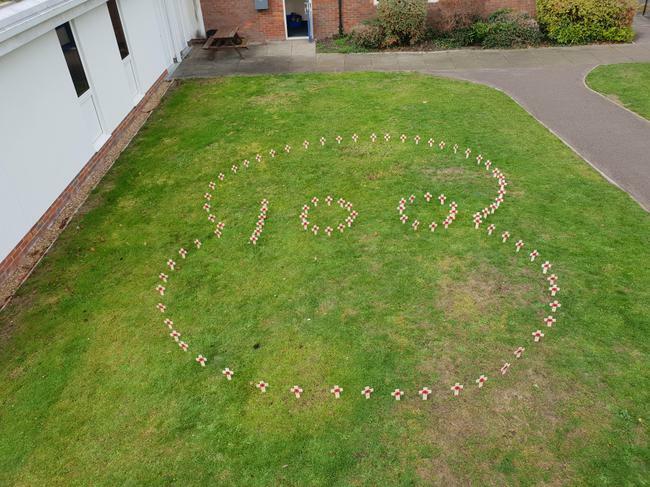 Years 1, 2 and 3 had their Remembrance Service in school. 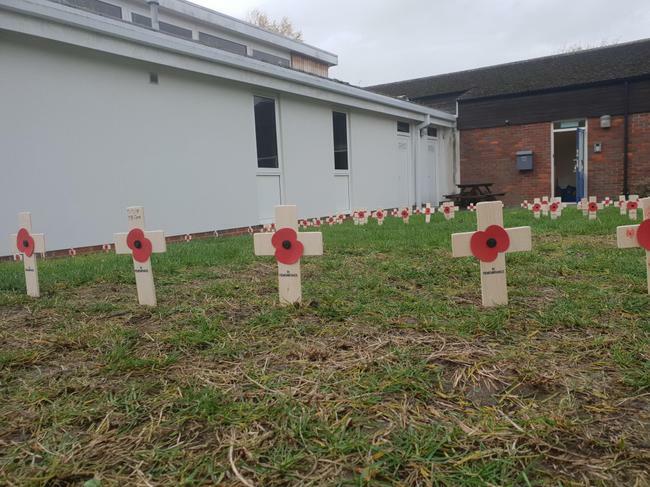 Both services involved a minutes's silence and the children were very respectful in their behaviour. Thank you to the British Legion, Wing Commander Crook and the Church for helping us commemorate this special event so wonderfully. 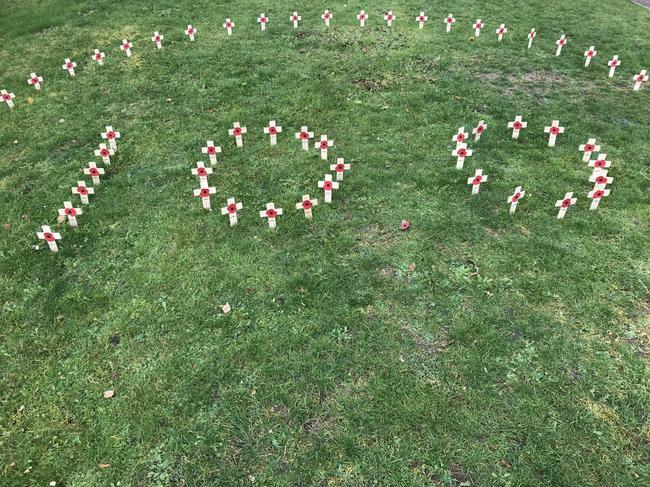 In school, Key Stage Two children have written messages on 100 crosses which have been arranged in to the outline of a poppy with the number 100 inside. This has been sited to the side of the front entrance. Please feel free to have a look and read the children's messages.